Just a few decades ago, Macau was a city in limbo. It remained a Portuguese colony until the Portuguese government handed back control of the region to the People’s Republic of China in 1999. Ever since, the city has been on an upward curve, reinventing itself as the gaming capital of the world and a credible destination for backpackers and families alike to explore. 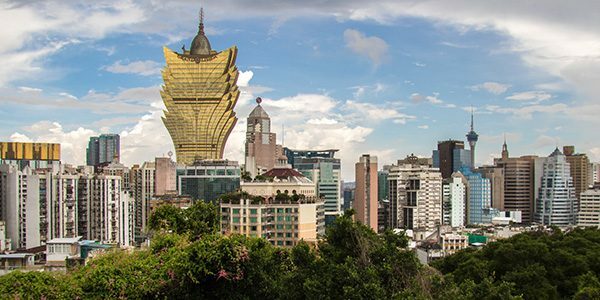 With a colonial heritage dating back to the 16th century, Macau is a veritable melting pot of eastern and western cultures unlike anywhere else on the planet. Back in the 16th century, the Chinese opted to hand over the city to the Portuguese who viewed the region as a hugely beneficial trading hub with the rest of Asia. Even today, with Macau back in control of the People’s Republic of China, the city still fuses eastern and western cultural and architectural influences. Many of the city’s Portuguese descendants are fluent in both Portuguese and Cantonese while the city’s street signs are still in Portuguese in a homage to the 400 years of Portuguese administration. The fact that Macau is the oldest, most historical urban area in the entirety of China is not lost on fascinated and knowledgeable travellers to the city. In its pre-millennium era, gaming and casino culture in Macau had a murky reputation. Much of it was controlled by gangs who would take every drop of revenue out of the casinos. 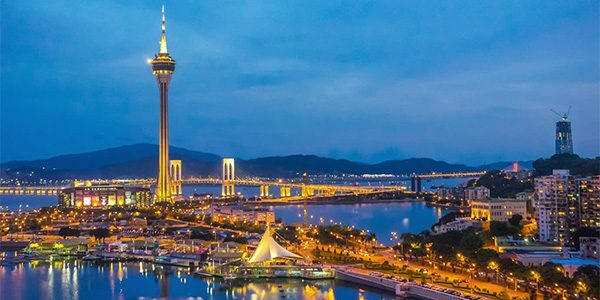 However, since returning to China’s administration as a ‘special autonomous region,’ Macau has seen strict regulations enforced on its gambling scene, improving its transparency and legitimacy. This sparked the evolution of Macau as China’s casino mecca — the only area in the entire country to offer legalised gaming. It’s easy to see why so many people compare Macau to Las Vegas. Many of the casino resorts that line Las Vegas Boulevard have cropped up here, too. The Venetian Macao is not only the largest resort in the city, it boasts the largest gaming floor space on the planet. Make sure you try the Sic Bo dice game that was devised by the Chinese and is heaps of fun. Overall, Macau is generally a safe and nonviolent city to explore, even as a solo traveller. Perhaps the most common issue to be mindful of when travelling around Macau alone is pickpocketing. It is rife in crowded public areas, so be mindful of your belongings at all times. Furthermore, the city also has an issue with counterfeit currency, so tourists should always endeavour to carry enough small bills or change to pay the exact amount for bills. Upon arrival in Macau, it’s also recommended that single female travellers do not step into unlicensed taxis. Always ensure your taxi driver drives on their meter and request the driver removes your belongings from the vehicle prior to paying. All in all, these are rudimentary things to consider and you shouldn’t let them put you off visiting Macau. Aside from Macau’s burgeoning casino industry, which is now generating significantly more revenue than Las Vegas, there are plenty of attractions and amenities on offer to individual travellers and families. Those interested in the city’s heritage should visit the 16th century Jesuit church Basilica of St. Paul, which is an official UNESCO World Heritage Site. The colonial architecture of Largo do Senado and the Leal Senado remains a striking reminder of the city’s Portuguese roots. The vibrant mosaic floor tiles and charming central fountain act as the centrepiece of the city’s Old Town. Sports fans will be interested to know Macau is home to one of the toughest street races on the planet, attracting some of the most talented former F1 drivers to the circuit. Beach fans will enjoy the option of the black sand Hac Sa Beach or the more secluded Cheoc Van Beach with more traditional golden sands, just moments from Coloane Village. The city’s largest entertainment complex is Fisherman’s Wharf, with a theme park, in-house casino, retail and heaps of restaurants to explore, ideal for young travellers looking for fun. Macau’s dining scene is another multifaceted experience. With a blend of Portuguese, Chinese, Indian, Malaysian and even African flavours, there should be restaurants and dishes out there to tempt your palate; especially for those who love their food. The local delicacies to try are the famed Portuguese egg tarts, the pork chop buns and the Portuguese-inspired bacalhau — a dry cod dish. For beverages, Macanese people are passionate about their coffee, so make time to try their bica. Even if you are flying into Hong Kong, it’s quite possible to plan a day trip to Macau from there. Macau is only a short ferry ride from Hong Kong, with many people from the island venturing to Macau for glamorous nights on the casino floors. All in all, Macau is an up-and-coming city that’s rich in history, culture and innovation, and you’d be mad not to see it and experience it for yourself.